We are big believers in the importance, beauty and magic an actively vibrant maker culture can bring to a city. 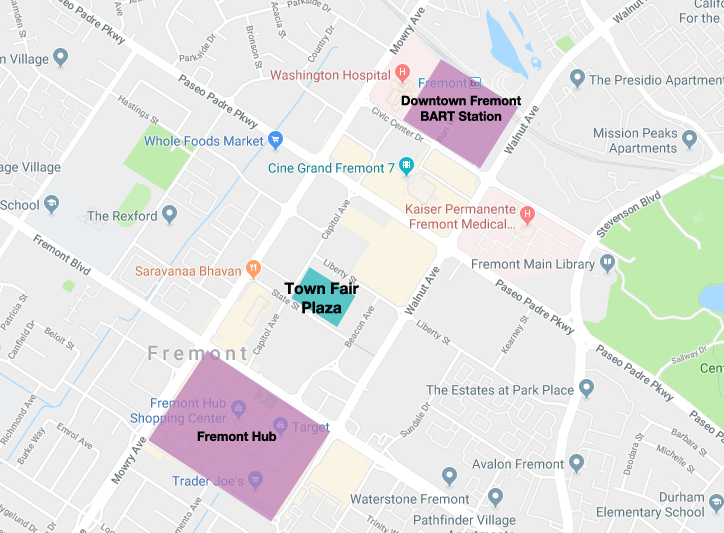 Therefore, it was incredibly important for us to build and design a space at Town Fair Plaza where Fremont makers could connect to other makers and to the community in a versatile, high-visibility location. The Maker Space will feature both a large, public-facing space for maker retail activations and open maker workshops AS WELL AS a more private space for makers to work amongst other makers and meet up with other makers and participate and host paid workshops. If you are a maker business or a person/entity involved in the maker community in the area (Fremont or East Bay or Bay Area, it's all good) looking to be a part of this space in some way, fill out the quick form below! We'd love to hear from you and discuss how the maker space could best accommodate your maker brand and maker business needs. A maker business interested in participating in vendor events (i.e. Capitol Ave Night + Market, Oktoberfest, Holidays in the Plaza, Etc). *By pressing summit, your email will also be added to our monthly newsletter. You can opt-out at any time.